For a soon-to-be published first time author, the reasons for blogging are clear. It's expected now--the done thing. It's also a good way, supposedly, to connect with potential readers and fellow writers, to share one's vision and "journey" to publication with them. For me, a life-long loudmouth, blogging should feel utterly divine. As many words as I can spew out, with no-one trying to get a word in edgeways? But it doesn't quite feel that way. Feels a bit lonely on this page. No real-life friends to laugh with, no brother or sister to agree or disagree with, no children to embarrass or students to make cringe. There aren't even any facebook friends or twitter "followers" to comment, make jokes, press "like" or retweet. I don't even have any characters to hang out with. That's the loneliest bit of all, the most exposing. Not having a handy mask in the form of imaginary people, having to be just "me." I suppose the only way to alleviate this loneliness is to do what a blog is meant to do--I'll need to draw people in. Make it less about me, me, me and make it more about you, or her, or them or us. I'm pretty boring on my own. But I hang around with lots of interesting characters, both real and imaginary! Good luck with the blog and the book! Welcome to the Blogosphere! Hey, I've started reading At Yellow Lake and ... LOVING IT (so far!) This is going to be a big year for you, fasten seatbelts! Thanks so much, Candy and Tracy. I'm definitely taking baby steps here. Seatbelts fastened, Candy! Welcome to blogging - I was similarly dubious, and have found it endlessly rewarding. How come Candy has a copy of At Yellow Lake? I want one! Thanks, Keren. I think Candy got a copy on Amazon Vine. It's very scary that the book is actually being read. Hadn't counted on that! Well done for taking the first steps, Jane. I had similar doubts when I started. I'm sure you'll get into it and make a very entertaining blogger. Can't wait to get a copy of At Yellow Lake. Might have to bribe Candy next time I see her! Thanks, Dave. Need to get a copy of 15 days before mid-Jan! Can't wait to read it. Well blogged, Jane! Looking forward to reading At Yellow Lake (how come Candy's reading it already??) LOVE the cover! Heh! No favouritism on Jane's part ... when it came up on Amazon Vine, I grabbed it immediately! Hi Jane, enjoyed your blog. You're a braver woman than I! Just like every book must start with a single word (yep, and it's usually "chapter"), so every blog must begin as an arid plain, populated by a single, hesitant post and absolutely no comments at all. Hey Dave ... re bribe - I take Ferrero Rocher. Just finished it and it's beautifully written. You're gonna be meeting up with Dave at all those prize giving events, Jane. Thank you for a fab read. I reviewed it on Amazon! Thank you all, kind friends. Damn...looks like I'm going to have to write another post this week! Just finished reading At Yellow Lake. You painted some great pictures. Really enjoyed it and loved the way you built up the tension. I'd definitely recommend it as a good read. What are you working on now? I now have to write a 'pretend' review for my Writing Course. 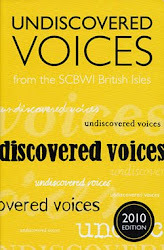 I picked up At Yellow Lake to review from the pile of books because Yellow is my favourite colour plus a friend has just been selected for this years Anthology of Undiscovered Voices and I was interested to see what they had chosen in the past. So here I am procrastinating re writing the review and found your blogs which I did enjoy reading. We touched on 'gatekeepers' last week. I did wonder, as I read your book what some adults might feel and what age a 'gatekeeper' might say was too young for the story. You skirt so close to really unpleasant and difficult issues, but actually that's it... you skirt within a hairs breath but never quite go there. I think you've done well to highlight real dangers without damaging anyone. Thanks for your feedback! I'm glad you enjoyed At Yellow Lake. Yes, it was tricky to find the right line between showing enough to suggest the menace and peril without making things too explicit. Good editorial advice was very helpful, too. Good luck with your writing (and your review! )Blogging is a bit scary--it feels quite exposing at times--but is actually enjoyable once you start. Be bold! By the way, I'm currently working on my book 2, but it's still in its infancy...At Yellow Lake isn't actually published until June.